I was so very chuffed to get through the door a review copy of the latest DVD from Hazel Tindall, this time collaborating with the equally brilliant Elizabeth Johnston. 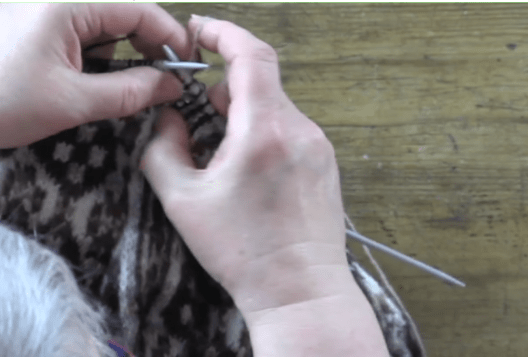 A few years ago Hazel released a DVD taking us through the tuition of creating a Fair Isle sweater. This was truly like taking a masterclass in your own home and I remember last year at Shetland Wool Week, she told me to watch out for another one coming soon. 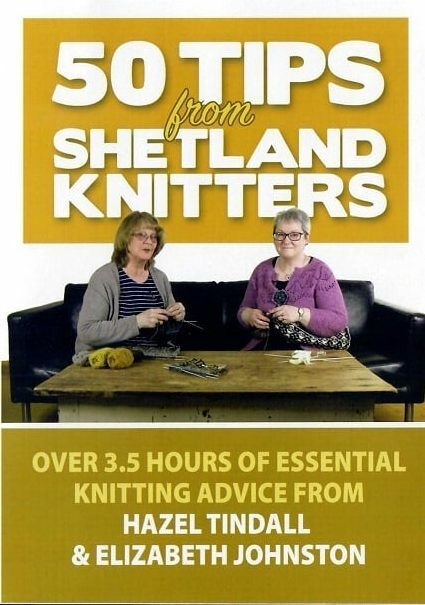 50 Tips from Shetland Knitters is that DVD and it really grew from them being asked for tips and advice at classes and workshops. The DVDs – also available as a digital download – start with casting on and work all the way to casting off and finishing items and the breadth of the techniques they cover here is really wonderful and varied. 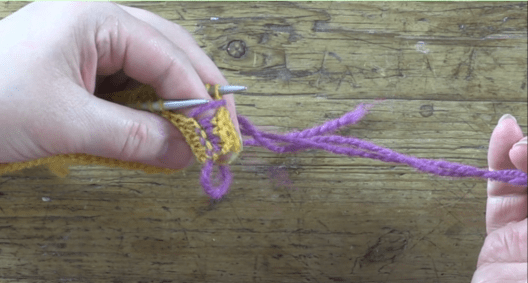 The DVD is not a “learn to knit” instructional manual (though it does cover some basic stitches) it’s a valuable collection of methods and approaches that every knitter can learn from and appreciate. I always say that it doesn’t matter if you only ever knit garter, or you are the most intricate lace knitter, you are an accomplished craftsperson who is always working on and fine honing your craft with every project. At the same time there is always something to learn and I truly believe that anyone reading this who thinks “Nah! I know all this” needs to think again! I’ve been knitting for about a decade, as an adult, and my mind was a wee bit blown watching this for the following techniques – how to hold the working yarn in your hand; yarn placement on the fingers for Fair Isle knitting (including YP for different methods of Fair Isle); how to catch floats and when, and how different ways of doing this affect the resulting fabric; grafting garter (a bloody revelation! ); stretchy cast offs, adding fingers to gloves and rectifying jogs when joining in the round. I think of myself as a pretty adept knitter, but I’d say that I’ve picked up so much from this DVD. We all knit differently and have learned differently and this DVD set is a real exploration of these techniques. I feel educated! Even my own prior understanding and knowledge of many of the techniques I do know, including, colour dominance, picking up stitches, steeking, reading and re-creating charts were also broadened by watching this DVD. The setting is really simple and comfortable. Hazel and Elizabeth are sitting on a sofa and the camera films them from above, over the table too. When they are discussing the tip or technique, it is really natural and the overhead camera captures the technique being worked in detail. 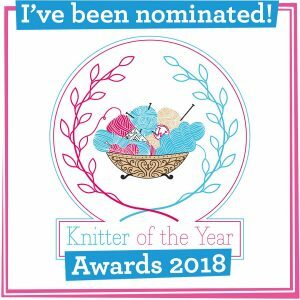 I particularly like how each talk about their own approach to the technique in their own crafts and also discuss other ways in which knitters can execute it – again, it offers a real breadth of knowledge and experience. As well as being natural teachers, the pair are really funny and brilliant presenters – I think they need their own show! 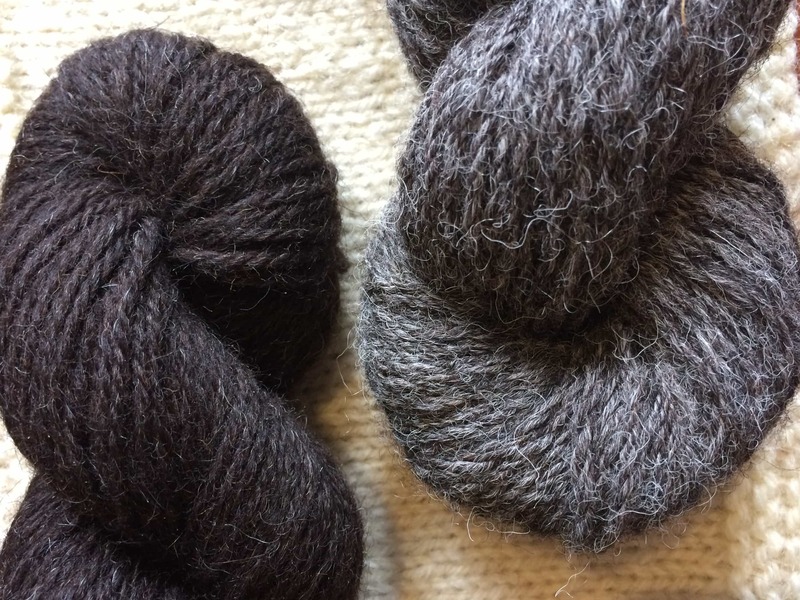 A great collection of skills and techniques, presented from different angles with great advice and some Shetland tradition and knitting history included – 50 Tips from Shetland Knitters is a real masterclass from two brilliantly talented knitters and tutors. You can buy the DVD online from Jamieson and Smith, Shetland Museum and Shetland Times Bookshop (Some places are sold out at the moment!) and you can also buy the films as a digital download, from Vimeo – both cost around £25.00. And if you’ve read all this and you still think you know all the techniques just fine, its worth the cover price for the advice on fixing the error in lace knitting, weaving in ends neatly for Fair Isle and finishing/dressing alone! Thanks so much to Hazel and Elizabeth! 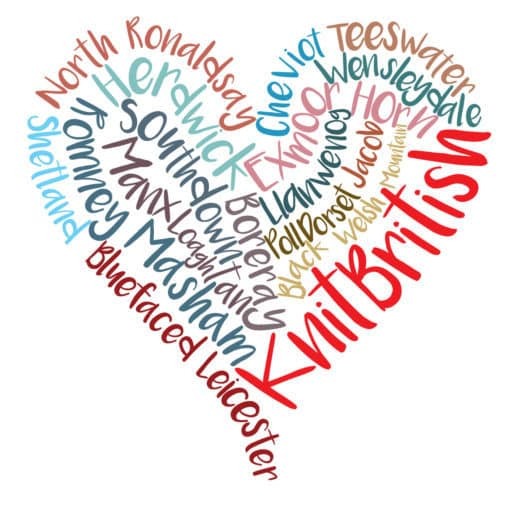 and BBC, if you are looking to make The Great British Knitting Show, here are your presenters! Great review as I was wondering about this collection of her work/skills.This will make a great B-day to myself! Thanks Louise. I must admit I was in two minds as to whether or not to invest in this but, because of your review, I have decided to go for it. The main reason was to learn the jogless stripe trick. I fell in love with the blue fair isle sweater in Marie Wallin’s new book but was quite surprised by the enormous jog shown down the left side in the picture in the book. Now I think it will be worth doing with a new technique. Great review. I purchased Hazel’s first DVD in a download format and I have been pondering which format to purchase this latest DVD in. I know many DVD’s from Europe don’t work in North America. Do you know if this will be the case with this DVD? The DVD should play worldwide. The DVD will play world wide. Love your comment re ‘grafting garter’. That made me laugh. I prefer to purchase the DVDs and not the Vimeo download. Where may I purchase this in the DVD format for North America? The stockists linked post worldwide. Thank you. But I understand that to be the Vimeo download. I’ll try to contact one of the sellers to find out for sure. Thank you very much. Previous PostEpisode 94 – Paved with Good Intentions! 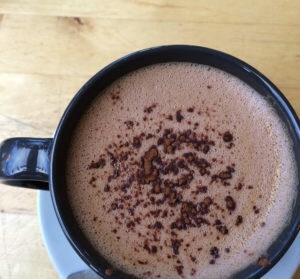 Next PostReasons to be cheerful – TEXTURE!